We make it our priority to know how innovations in technology can be leveraged to best support your unique business requirements. The stellar traffic spikes of the Olympics and Paralympics could have crashed Hockey Canada’s responsive website and mobile apps, disappointing millions of Canadian hockey fans. 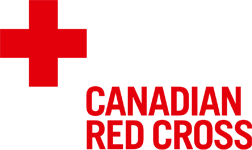 The Branch Management Solution (BMS) was developed by Point Alliance as a response to the Canadian Red Cross Ontario Zone’s challenges with their current payment and donation collection and tracking process. See how a global leader saved nearly $400,000 each year- just by going paperless! Point Alliance worked with Cadillac Fairview to replace their large paper-based leasing binder with an online BlackBerry solution. Growing your business? Implement a business solution that can grow with you- regardless of your changing needs! The Canadian Life and Health Insurance Association (CLHIA)’s was a growing organization. The expansion of their online offerings required a member portal and content management solution that would support all of the new business requirements. Want to take your product to the next level? Take it to the app! TouchCommerce is a leading innovator in omni-channel engagement solutions to optimize results. Driven to help their clients actively engage high potential customers, TouchCommerce offers a range of products and solutions designed to deliver the ultimate customer experience. See how an organization’s new online experience smashed traffic records during one of the largest national events of the year! Hockey Canada’s existing website was the primary digital channel for communication, marketing, online presence and information for Canadians and their love of the sport. To meet rising demands, a modernized website and framework, along with new digital channels, were required to help meet customer expectations. Learn how a company dramatically reduced the response time of their website! 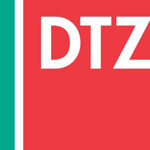 Point Alliance worked with DTZ Barnicke to revitalize its online presence with a new website design in addition to centralizing the web content using Point Alliance’s Launch Pad for Web (LP4W) product. 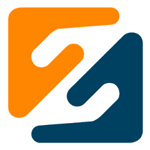 Learn how a company utilized a new website to launch re-branding efforts! In order to maintain the large amount of information PKF Hill hosts online, they not only required an intuitive website that allowed for easy navigation, but also the ability to post and organize a large quantity of information. Learn how a health organization was able to save valuable time and money- just by switching to a collaborative web platform! PracticeReady is a collaborative web platform custom developed by Point Alliance to meet Headcan’s requirement for an easy and efficient solution to share information. Learn how a web solution improved productivity and accuracy for a branding company! 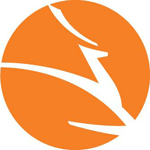 Shikatani Lacroix required an advanced approval system that could assist in their regular client communication in a time efficient and effective manner. They required a tool that would enable users to securely post content online for review and approval and track project progress. Learn how an organization reduced 80 existing databases down to 5 with a new content management system! Point Alliance worked with the OHA to create a new website and to centralize the web content using Point Alliance’s Launch Pad for Web (LP4W) product. The web site now has a consistent look and feel throughout and is easy and intuitive to navigate. Learn how an organization saw 100% return on investment on an event management tool- after a single use! In addition to the various roles and functions of the organization, Canadian Life and Health Insurance Association (CLHIA) also hosts and coordinates up to eight registration-based event per year. 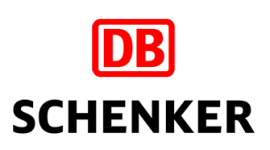 Schenker of Canada (Schenker) wanted to give their web site a fresh new look and feel to stay consistent with their re-branding efforts. They required a content management system that would facilitate ongoing updates to the site and integrate with other back-end systems. Learn how an organization was able to enhance its compliance management AND decision making- all with a single tool! Point Alliance leveraged the capabilities of the Legislative Compliance Management System (LCMS) to overcome Transamerica’s challenges with their current legislative compliance and regulatory risk process. Looking to grow your business? There’s an app for that! As a comprehensive resource for newsstand magazines, Disticor relies on quick and efficient communication to their customers through their website, magamall.com, as the key to their success. Hockey Canada scores with a mobile application on concussion prevention! 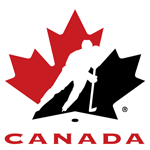 Hockey Canada is the national governing body for grassroots hockey in the country. Dedicated to growing the game at all levels, Hockey Canada has served as a voice for Canadians who share this love of hockey for over a century. Manage your website with a solution as flexible as your business! 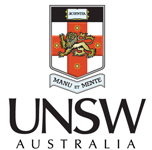 The University of New South Wales (UNSW)–School of Medicine needed to give their web site a fresh new look and feel. In doing so, they also wanted to replace the home grown content management system they were using for their current sites. Read how an organization managed its entire workforce across North America- with a single mobile application! 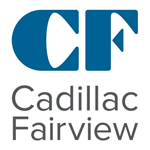 Point Alliance designed and launched a custom application for Cadillac Fairview to create and assign work tasks to a mobile workforce across North America. Find out how a company significantly improved their online traffic and engagement! 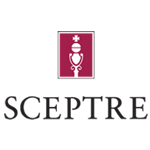 Sceptre Investment Counsel Limited (Sceptre)’s existing website which served as an information source to their clients and investors, had become unwieldy and disorganized over the years. See how a global company turned an opportunity into a competitive advantage with a new custom solution! Colliers International relied heavily on their corporate property database (SPEX) as an important source of information for their brokers. With the fast-paced market, they required a tool that would allow their brokers immediate access to the database in order to react swiftly to market demands. Read how an organization set new industry benchmarks with top-notch tools and resources for effective decision making! Magazine Information Network, LLC (MagNet) rerquired a robust data warehouse solution that would accurately capture, consolidate, and cleanse critical magazine and retailer data which was individually housed in varying formats within MagNet’s 100-plus partner base of wholesalers. 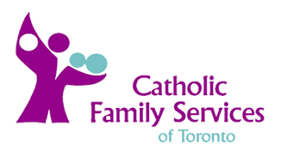 Catholic Family Services of Toronto (CFST) is a non-profit, community based family service agency. Focused on helping individuals, couples and families cope with personal challenges, the Agency offers a number of different services, tools and resources to provide necessary support. See how an organization seamlessly turned their brochure-ware site to a full-service website- easily and cost effectively! 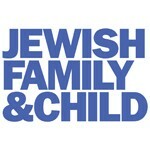 Point Alliance worked with Jewish Family & Child to implement the new web site design and centralize the web content using Point Alliance’s Launch Pad for Web (LP4W) product. LAWPRO recognized that its in-house intranet no longer served the needs of its small but mighty team of approximately 130 employees. Over time, the company’s intranet became convoluted, making company information difficult to source, ultimately leaving employees uninformed and/or disengaged.